Nóra Diószegi-Horváth is a journalist who writes mostly on education, health, and social issues. 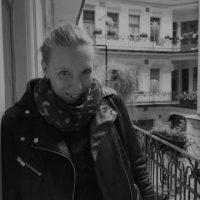 She is deputy editor-in-chief of the Budapest-based independent news platform Mérce.hu, the country’s first fully crowd-funded news-site, which was launched in autumn 2017. She received her MA in Russian Language and Literature and in Aesthetics from the Faculty of Humanities, Eötvös Loránd University (ELTE), in 2009.